FAITH FOLK CAFE: I'd like you to meet my dear friend Jan Thomason whose favorite song for the moment is Shout To The Lord...turn up sound!!! I'd like you to meet my dear friend Jan Thomason whose favorite song for the moment is Shout To The Lord...turn up sound!!! I live in the Hill Country of Texas, just outside a little town called Center Point, on a working ranch that my husband's family has owned since 1890. It's really easy to give people directions to our ranch because along the white fence at the entrance I have secured six bicycles that I have sprayed pink. *The first day they were up, my boys were so thrilled that they were, well, speechless. My husband, Frank, ranches full time and it's his passion. He loves what he does! I moved to the ranch from Oklahoma City when we were married 23 years ago. It was a huge adjustment for me, but after some time went by and we started having babies, I knew I was in the right place. I wouldn't have wanted to raise my three boys anywhere else. 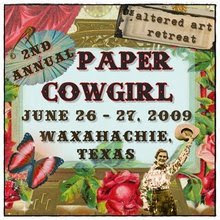 Jan is teaching at Paper Cowgirl again this year! 2. At what point did you realize that you were an Artist. It's kind of funny in a sad way. I've been artistic all of my life. I remember having to draw the ear canal in 5th grade and i looked at the small picture in the health book and drew it great big on a honkin' piece of poster board. Both of my parents doubted "to my face" that I had drawn it free hand. Needless to say, I wasn't encouraged to pursue any art classes in school. Before I started scrapbooking sometime in my late 30's, I was always "the poster girl" for whatever group needed a poster for an event, but I still didn't know that my talent was a gift. So, I guess my answer is that is was a life long process. 3. What is your favorite tool and favorite medium to use? I'd have to say the one I'm using at the time.My favorite medium? Does paper count as a medium? It's my drug of choice so I think I'd have to say it's my favorite medium. I LOVE paper. I collect it. Poor Frank. 4. How do you balance creating artwork with your home life? Ouch! That's always been a challenge for me! I have a sign I made that is on the wall in my studio right in front of me that says, "BALANCE". It's so hard for me to pull myself out of my studio! My best friend told me once that I'm different if I haven't been able to create - that creating makes me whole. I agree. 5. What advice do you have for young artists starting out? I would suggest that if art is your passion that you MUST pursue it! Life is too short NOT to work a job or deny yourself an activity that brings you joy! And, I would strongly suggest that you take some classes to find the right area in the huge world of art that you love! There's so many different mediums and sometimes it takes a while to find your passion. Go on some retreats and take classes in different mediums. There are so many wonderful retreats to choose from! Want some suggestions? Email me and I'll help you out! 6. Where is your favorite place to create and what's your fav. time to create? I am very blessed to have an actual studio so, of course, I'd say that's my favorite place to work. I could use an assistant, however, to clean up after me - I don't care how big your place to work is *a card table in the corner of the family room or an actual studio*, it's always a mess - I speak, of course, only for myself! Gosh, that's a hard question. I think I would say that creating something in the hopes that it will bring someone else joy or a piece that brings me joy is my inspiration. I think of my art as a ministry. If something I've made makes someone smile, then God has used me to bless them. That would be my biggest inspiration. 8. How does your faith in Christ translate into your life, art and business? I give God the glory for everything that I create. He guides me through each step of everything I do in my life and in my art. He is totally in control and I can't imagine living my life without Him in it. 9. What are some of your goals for 2009 and plans? My goals for this year are to live joyfully and in gratitude, to spend time with my mother and my sisters and their families, who all live up north. And, to find the balance in my life that I need to give Frank the Tank and my boys the attention about which I daydream. and I'm attending another art retreat in September that I'm also very excited about! 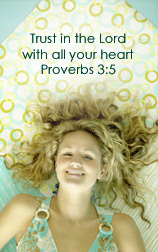 Small, intimate retreats with the most amazing women! decide what path I want to take to bring more attention to children living in poverty and to follow God's lead in that endeavor. 10. 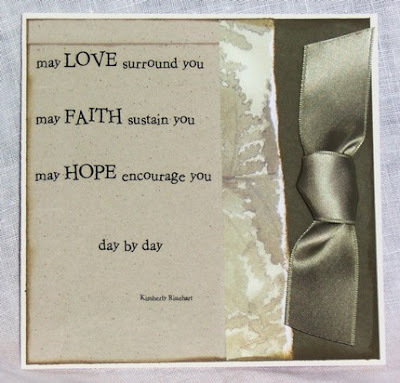 Please share a favorite tip or two that you use in your Folk Art? Enjoy each step and let God lead your creating - when you start a project and you have this idea of what it's going to look like when it's finished...be flexible enough that God can guide you to the end result as HE sees it. And, this is what I always tell the girls that sometimes work for me in the studio - always remember, in art, there are no mistakes! 11. How did you name your business? You really are asking the hardest questions! Why can't you just ask who I like best? ...Brittney or Martha? The name of my blog and my Etsy store have been in place for the few years that I've been blogging and selling on Etsy, and that name is what people associate with me and my art - the Polka Dot Barn. 12. Favorite Scripture and Favorite Christian Song to accompany your Feature. You know what? I have a different favorite scripture depending on where my life is....does that make sense? So, I'll tell y'all today's, 'k? 1 Peter 1:8 Though you have not seen him, you love him, and even though you do not see him now, you believe in him and are filled with an inexpressible and glorious joy. And, my favorite Christian song?.....same answer as above! Today my favorite song is Shout to the Lord. I was singing it last night and I got to the chorus and had to stop singing. I was so filled with the Holy Spirit that I couldn't do anything but cry. So, that's my favorite Christian song today! Often my favorite Christian song is the one I'm singing. 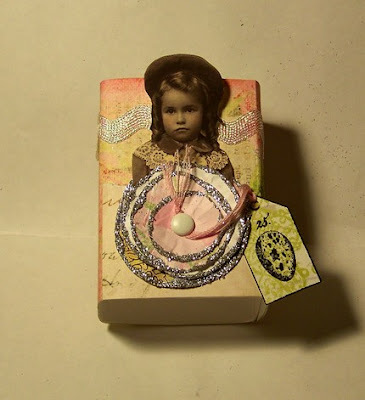 Please take a peek at all of Jan's work on Etsy, Lollishops and her blog. Contact her with any questions about purchasing or any questions about her art, I know she'd love to hear from you. Also, please keep her mom in your prayers, she took a really bad fall and has been hospitalized. You can see updates on Jan's blog. And of course, please don't use any of her images with Jan's permission. That includes all of the artist's images on Faith Folk. geez, pam, i just read my interview and EXCEPT FOR THE STINKIN' TYPO I FOUND, it made me sound so smart. thanks, pam, for all of the changes you made to clean me up. Totally all better now :-) Fixed it. THat WAS great! Such a funny lady. I would love to meet her and take one of her classes. I'm envious of her confidence in what she does... thanks, that was fun! 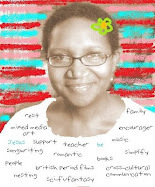 Im so glad I found your blog, Wonderful stuff! Bless you. Yes Lisa, I agree she is one funny lady. I'd also love to create with her. I'm also glad Sarah and Donna found Faith Folk. Please come again and often.